Concrete Slab Sawing is the process that cuts the upper portion of existing concrete to an even, flat plane. This technique is used to level damaged pavement, provide control joints or lay underground wires and pipes. When it comes to slab on grade, structural decks, roadways and any other horizontal surface Fine Cut’s slab saws do the job. Slab saws are powered by gas, diesel, electric and hydraulic. Our trained operators are equipped to use Concrete Slab Sawing to cut through concrete, structural concrete, stone, brick, cinder block and asphalt. Many of the same principles that govern wall sawing, however, also apply to Concrete Slab Sawing. Slab sawing may be required to cut an opening for a new staircase, or to remove a section of damaged concrete. Slab sawing is also effective for creating expansion joints in pavement or bridge deck joints. 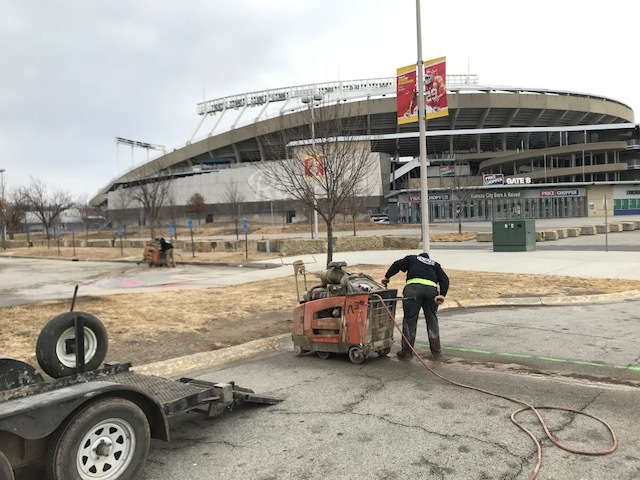 Fine Cut has used Concrete Slab Sawing for parking lots, construction sites, water parks, and even at Arrowhead Stadium, where the football team the Kansas City Chiefs play. Slab saws feature a diamond blade that is mounted on a walk-behind machine that requires only one operator. They can cut up to 33 inches in depth but generally only six inches or less is necessary in most applications for a home. Concrete Slab Sawing is the perfect solution for making penetrations or openings in concrete floors to access and repair a broken water pipe or sewer line. When a basement or cellar is being remodeled to add a bathroom, the concrete is removed to add new plumbing for the fixtures. Concrete Slab Sawing is also useful in demolition work to break up and remove a cracked or unwanted patio, driveway or walkway. Fine Cut Concrete Drilling and Sawing, LLC, began as a one-truck operation in 2002 by Jim Ralston. In 2016, Clay Kohler expanded by remodeling the company’s vision and long-term goals and Jim and Clay joined efforts to make Fine Cut the company for contractors and homeowners to rely on. 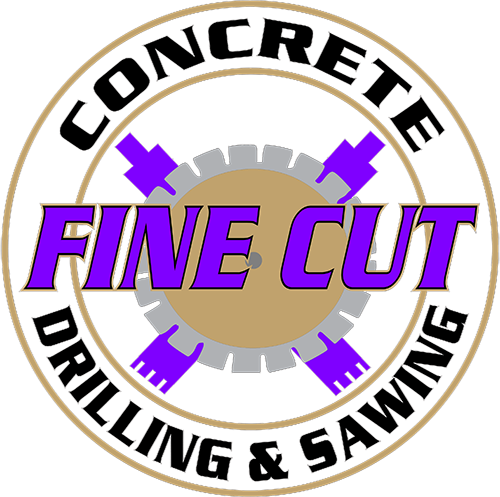 For more information about Concrete Slab Sawing and other services Fine Cut offers, call (816) 540-5787.